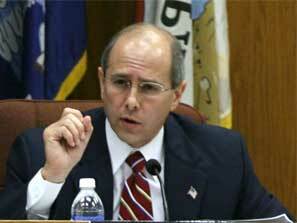 Louisiana Congressman Charles Boustany, M.D. made waves this week after publicly criticizing voter registration functions in Obamacare application drafts – leading to an emerging debate as to whether such options should be available in the 60-plus-page form. Unfortunately, the debate has largely ignored the core flaws of the application program until now, according to activists in the voters’ rights community. The National Voter Registration Act of 1993, the first bill signed into law during the Clinton Administration, requires that nearly all applications and/or visits to public assistance offices offer voter registration options. You might recall on your last trip to the DMV being asked as well. The same law also requires that voter rolls be kept clean of dead, felon, non-citizen, or otherwise ineligible voters. Citizens are also empowered to help in the maintenance process under the law. In a press release, Rep. Boustany raised concern over the use of “navigators” to assist individuals in the application process for Obamacare. His concerns are much more aligned with True the Vote and others on this element of the story. The Washington Post recently offered clarification as to whom the navigators will be, stating, “groups such as unions… immigrant-service organizations, and community or consumer-focused nonprofits” will be allotted public and private funds to connect people to Obamacare. The Post further noted that various insurance agent trade groups expressed concern that these navigators will have limited to no training or professional licenses to offer expertise on healthcare coverage options. ACORN solidified its power in whatever community it was in by helping people with government assistance applications and voter registration. After we processed your public assistance application, we knew where you belonged to each government program. When it came time to fill a bus to the polls, the same person that helped you get food stamps or tax advice could show up and press you to go vote. True the Vote and its Latino initative, Voto Honesto, expressed unease with the new arrangement Obamacare navigators will bring, citing the risk of increased voter intimidation in future elections. True the Vote and its allies around the nation are currently planning a summit this April to better organize for these new threats to election integrity. A key strategy could be targeted litigation. “Engaged voters across the nation will be trained to spot this potential, illegal behavior going forward,” Engelbrecht added. “Should we continue to find people telling stories of feeling coerced into voting a certain way, we have legal options available under the Voting Rights Act."